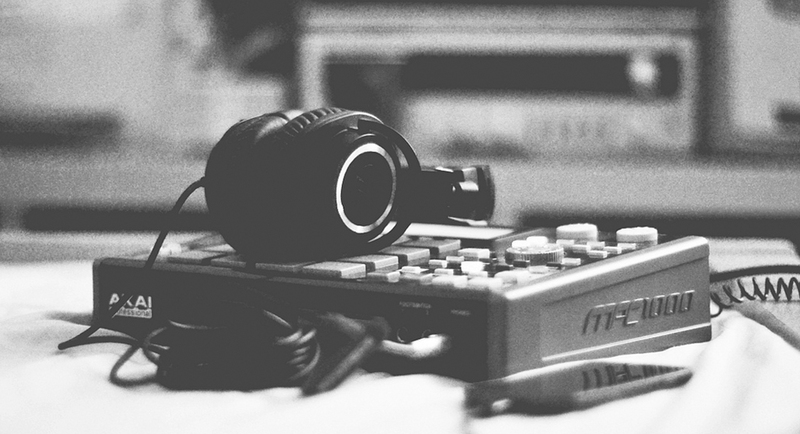 Like RnB, beat making, specifically hip hop, was born out of poor communities. The urban ghettos were the hub of hip hop in its infancy. With little or no money to buy instruments, young people looked at other ways to make music. And so, in the 1970s, the turntable became the new instrument creating scratches, loops, breaks and beats. DJs, like Afrika Bambaataa and Grandmaster Flash in the Bronx, NY, exploited its uses frequently. In 1979, the first digital sampler and drum machine was produced by Roger Linn, the Linn LM-1. The following year, the Roland TR-808 drum machine would become one of the most popular electronic instruments ever made, helping to produce more hit records than any other. Although it lacked the sophistication of the Linn LM-1, it was about a quarter of the price, and therefore, attractive to young hip hop artists producing their own music. It also had a certain crudeness and rawness to its beats and kicks that appealed. And it had a great impact on the emergence of new genres like “electro-funk”, considered to be fathered by Afrika Bambaataa. The 808 was only manufactured for three years, but second hand 808s would be used in some of the most iconic hip hop music, such as the Beastie Boys’ album License to Ill. They combined samples of rock classics with the 808 beats. The technology advanced swiftly in the 1980s with the release of the E-mu SP-12, and soon after, the SP-1200 which now, for the first time, had the ability to build a song using just one portable device. The MPC60 came out in 1988, a collaboration between manufacturer Akai and producer Roger Linn. MIDI sequencing and audio sampling were now combined with a set of velocity/aftertouch-sensitive performance pads. Complex and eclectic mixes of samples from several genres were being recorded by producers such as Dr. Dre, Prince Paul and the Dust Brothers. In the 1990s, the Akai company continued to build on their early gear with machines that combined a sampling drum machine with an onboard MIDI sequencer. A new style was brought to the forefront with the 1994 release of The Notorious B.I.G.’s Ready to Die where producer Sean Combs and his assisting producers sampled entire sections of records instead of short bits of songs. In the 2000s, this type of sampling began to peak with producers Kanye West and Just Blaze sampling soul records for Jay-Z’s album The Blueprint. However, in September 2004, a U.S. Court of Appeals in Nashville set a new precedent with musical copyright infringement by ruling that a license is needed in every case of sampling. After the ruling, a shift towards live instrumentation began. In the last 20 years, the cost effective digital audio workstations (DAWs) and software sequencers have been used in much of modern hip hop production. One of the earliest DAWs that is still in use today is Steinberg’s Cubase, originally released in 1989 for the Atari 520ST and 1040ST and MIDI only. Since then, countless DAWs have entered the market, changing how music is made today. Despite some producers being against complete dependency on DAWs, debating their overall quality and lack of identity in computer-bred beats, the demand for DAWs and top-notch beat makers continues to grow as does the technology. MPC groove is kind of an urban legend. The real story is your cuts/edits are out of sync because there was no visual editor on the famed MPC3000 nor the MPC60. Even after you quantized, the samples were still off because of the splices. You can replicate this in your DAW software using the delay feature, adding or subtracting milliseconds to samples to add groove. The pad-based Akai MPC samplers were all the rage in the early hip-hop days and are still popular today, as they let producers tap out their own grooves. You don’t need an MPC to play your own groove – you could use any MIDI controller, or perhaps beatbox and use hitpoint editing. So you wanna make beats? Here is my top 10 list of things used to make a beat and notice I did not say top 10 things you need. Everything in this list is not necessarily needed, but if you have or are able to possess some of these items, you will definitely be good to go. This is a pretty important piece of equipment to have because it pretty much runs everything. This item like others on this list will require you to make some decisions. Two of the biggest choices you have to make is whether you want a PC or MAC computer and the other choice lies between a laptop or desktop. Everyone has their own opinion between MAC and PC, but I can tell you that PC will be the cheaper of the two. A laptop will give you portabilty while a desktop will more likely have a greater performance when it comes to speed, memory, and storage. I would encourage looking at the specs before purchasing. A good rule of thumb is to have at least 4GB. This stands for Digital Audio Workstation which serves as your music software installed to your computer. In order to edit and record your beat, you need some type of DAW to perform this. Popular examples include Ableton Live, Logic, Protools, Reasons and Sonar. If you are on a budget, Garageband comes with a Mac computer and a very nice demo version of FL Studio can be downloaded for free on a PC. Even though these all basically work the same except for the learning curves, I would recommend the last two for beginners since they are the easiest. computer. Your sound source could be an instrument or microphone which we will discuss later. This is a must have if you are gonna use a computer! The price range can start from $99 on up. It’s important to note that some audio interfaces come with music production software such as the PreSonus AudioBox USB 2×2 USB Recording Interface which comes with Studio One Artist. If your plan is to use computers, I also recommend the purchase of an external hard drive. You need this to back up all the files you create for safe keeping. I can’t tell you how many times I’ve lost music from not saving or backing up a session. Also, this allows your computer to perform more efficiently if you record directly to your external hard drive instead of your internal drive which is the actual computer. They can store anywhere from 500 GB on up at really affordable prices. A Midi Controller allows you to play and records sounds into your computer. The midi controller usually comes in the form of a keyboard and is used to communicate with your computer through cable connections. You will need either MIDI or USB cables in order to make the connections. After you’ve done this you can press the keys to make your beats using the various sounds and virtual instruments coming from your DAW. Believe it or not, its easy to find these for really cheap even if you have to go to a pawn shop. Personally, I have the one you see to the left called the Akai Professional MPK Mini Keyboard Controller for less than $100. Any keyboard that has MIDI will work by the way. which doesn’t need phantom power. A nice quality mic can run less than $100 so if you are just beginning, you don’t have to break your bank. Some use headphones and others use speakers to monitor what’s being recorded. If you have a computer then it should have speakers if you can’t afford to purchase studio monitors. The other option is to go with headphones that preferably cover the ears so that it kills background noise while mixing and or recording. I would recommend the AKG K 240 Studio. 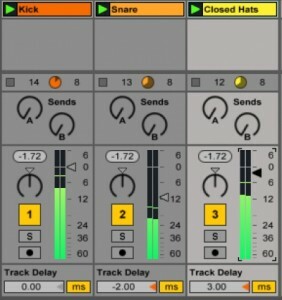 the drum sampler must be able to operate without a computer. Many of the newer models have integrated with software meaning that a computer is required. Im not referring to those, however I will list my all time favorite…. The Akai Professional MPC2000XL ! I’ve used this for years and don’t see myself getting rid of it anytime soon. For beginners, I would proudly recommend the MPC 1000 for its ability to function with or without a computer and for the fact that it comes with sounds built in. Drum machines/samplers can be found all the time on ebay which is where I got mine. This item is usually used with the drum sampler because it plays the vinyl records that are being sampled. This is probably the purest form of HipHop even though nowadays any form of media can be sampled. This is very cost effective from the fact that you can find these at the Goodwill, pawn shop, online, or maybe your grandmother’s house. All you have to do now is collect records and start sampling. Without having the quality of being creative, a very sick beat cannot be made. I often share with cats, that the equipment you use does not make the beat. YOU DO! The most horrible sounding beat can be made in a state of the art studio with top of line equipment and a timeless sounding classic beat can be made on a used piece of gear from a bedroom. The difference is in the person making the beat and using their creativity. Feel free to write any comments or thoughts on this list. Thanks for taking the time to read this!